It’s the weekend before the 4th of July! I am working on my menu for the holiday. Are you? If you haven’t started thinking about it yet, you should and I really recommend you add ribs to the list! 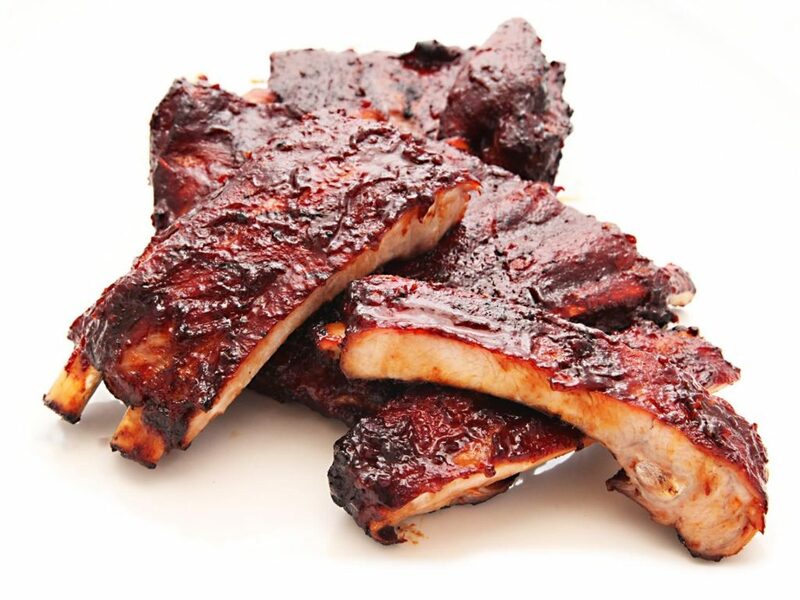 One of my favorite foods to have on the 4th is ribs. I think we started this tradition a few years ago when some friends wanted to make blueberry chipotle ribs and we have continued it. I know you may be thinking but they are so much work… and yes, they can be but you are in luck! This weekend we have two different weekend specials to help! The first is a no brainer and seriously will change the way you cook your ribs. Enter, THE RIBALIZER! We wrote a pretty in depth blog post awhile ago you can read here to explain the whole process. 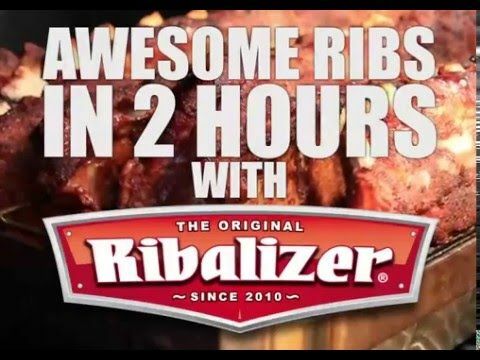 Who wouldn’t want to try a method where you get perfect ribs in 2 hours! Yep, two hours! But seriously, this product will change your rib game and your family will be begging for ribs all summer long. Grab one this weekend for 25% off! But if you want to be more authentic and do a little more work. 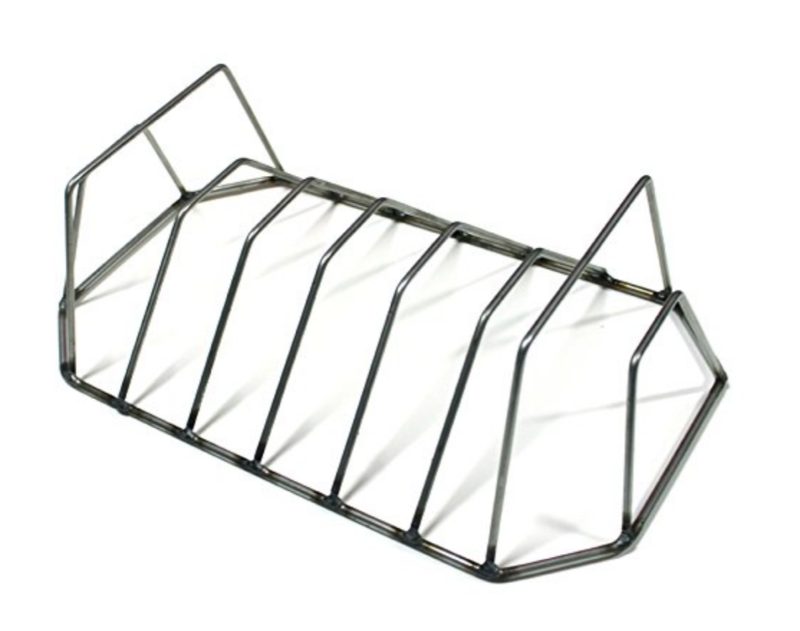 You can also grab a rib rack this weekend for 25% off. 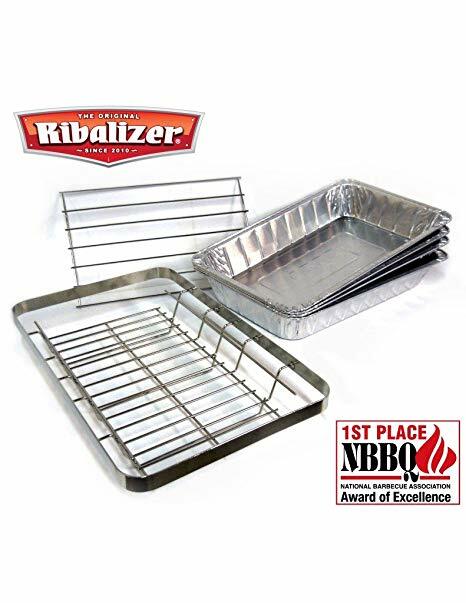 The Rib Rack can hold 8 racks of ribs at a time and can fit in a standard drip pan. This rib rack in made in the USA and also made of stainless steel so this baby will last! And it also doubles as a roasting rack! So you can use it later for chickens or your turkey at Thanksgiving! Grab one this weekend for 25% off and add to your grilling pleasure!